Burgers, BBQ, live bands & vintage car shows at a hopping joint with a retro vibe. 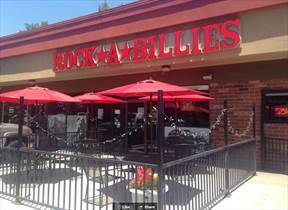 Rockabillies is Arvada’s most popular live music venue, restaurant and bar. Dedicated to pioneers of Rock & Roll like Johnny Cash, Jerry Lee Lewis, Carl Perkins and Elvis Presley. We offer a full menu, full bar, patio and host car shows every summer. Swing by for lunch, brunch, dinner or some free entertainment most nights of the week.